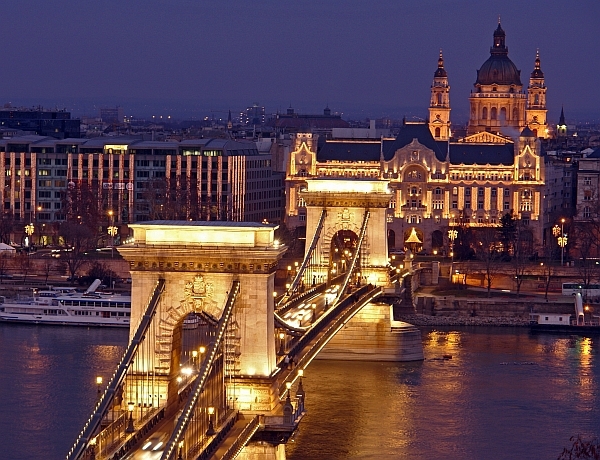 A buzz with pavement cafés, street artists, vendors, boutiques and nightclubs, the dowtown (belváros in Hungarian) or Inner City is the hub of Pest. A buzz with pavement cafés, street artists, vendors, boutiques and nightclubs, the dowtown (belváros in Hungarian) or Inner City is the hub of Pest and, for tourists at least, the epicentre of what’s happening. Commerce and pleasure have been its lifeblood as long as Pest has existed, first as a medieval market town and later as the kernel of a city whose belle époque rivalled Vienna’s. Since their fates diverged, the Belváros has lagged far behind Vienna’s Centrum in prosperity, but the gap is fast being narrowed, at least superficially. It’s now increasingly like any Western city in its consumer culture, but you can still get a sense of the old atmosphere, especially in the quieter backstreets south of Kossuth Lajos utca. Downtown - Pest The Downtown Parish Church on Március 15. tér was the city’s first church. Examples of all architectural styles, ranging from Romanesque to Classicist, blend into the interior of the church. At 2 Dohány utca Europe’s largest synagogue is found, serving also as a concert hall of excellent acoustics. The Jewish Museum in the courtyard of the synagogue is a centre for Jewish studies. 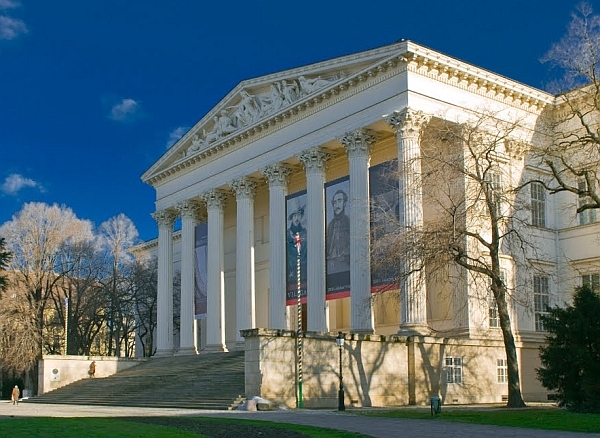 The Hungarian National Museum (14-16 Múzeum körút) is the finest example of Hungarian Classicist architecture. In existence since 1846, it is the most significant public collection in Hungary, tracing the history of the Hungarian people from prehistoric times to the present day. The Vásárcsarnok (Grand Market Hall, 1-3 Fővám körút) is striking in its architectural inventiveness. The finest examples of Art Nouveau architecture in Hungary include the Museum of Applied Arts (33-37 Üllői út) with its wide selection of permanent and temporary exhibitions, the houses on Szervita tér (Pest town centre) and the building of the former Postal Savings Bank (4 Hold utca). The Parliament (Kossuth Lajos tér) is the largest and the most lavishly decorated building in the country. Built between 1885 and 1902 by Imre Steindl, this exquisite edifice is 96-m high and 118-m wide, and has 10 courtyards, 29 staircases and 27 gates. Europe’s first area heating system was put in service in this building. Seat of the Hungarian Parliament and government offices, it provides a place of safety for the Holy Crown and the royal insignia. It is accessible only by guided tours in groups. The neo-Renaissance St. Stephen’s Basilica (Bajcsy-Zsilinszky út), elevated to the rank of basilica minor, is the largest church in Budapest, and the second largest in Hungary. The right hand of St. Stephen, Hungary’s first king (970-1038), preserved intact for over 1,000 years, is the relic of the Chapel of the Holy Right. The tower balcony of the basilica offers a splendid uninterrupted panorama of the whole of the city. It is worth taking a walk along the straight Andrássy út, a boulevard that is now a World Heritage site. It is lined with 19th- and 20th-century Eclectic-style palaces. 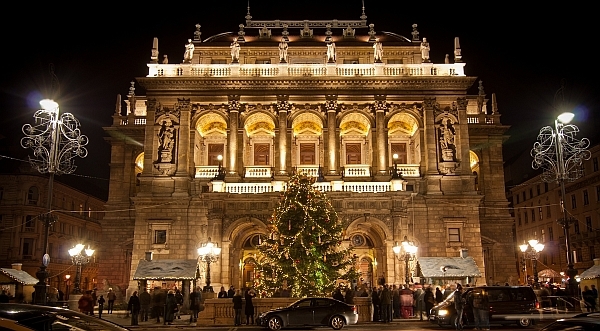 The State Opera House (22 Andrássy út), with its frescoed interior, seating an audience of 1,200, is a splendid work of by Miklós Ybl, Hungary’s most famous architect, and has been the centre of musical life in Hungary since 1864. There are guided tours. After a stroll along Váci utca from Vörösmarty tér and a look at the splendid view of Várhegy from the embankment, the best way to appreciate the dowtown is by simply wandering around. People-watching and window-shopping are the most enjoyable activities, and though prices are above average for Budapest, any visitor should be able to afford to sample the cafés. Shops are another matter – there are few bargains – and nightclubs are a trap for the unwary, but there’s nothing to stop you from enjoying the cultural life, from performances by jazz musicians and violinists to world-class conductors and soloists.